Entries are now open for application to Digital DNA's upSTART start-up pitch competition, with prizes including an all-expenses trip to explore the New York tech scene. The Digital DNA 2019 tech event is set to kick off on June 18th and 19th this year, bringing up to 3,000 people together for a massive showcase of Northern Ireland's growing tech scene. Part of the event will include the upSTART start-up pitch competition, a two-round competition that will pit around 40 start-ups against each other armed with just a three-minute pitch time. A judging panel of investors, professionals and entrepreneurs will pick the finalists from the lineup, and the ultimate winner will be announced on the second day of Digital DNA. The winner will get all-expenses paid trip to explore the New York tech scene. Judging criteria will focus on tech innovation and the potential to expand the business outside of Northern Ireland. The competition is open now and exclusively for start-ups based in Northern Ireland at any stage of their development, as long as the business is not more than three years old and hasn't raised over £1.5m in funding. 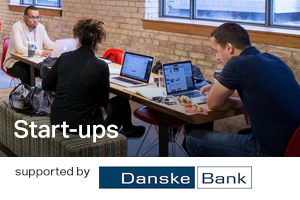 Applications are open now at https://digitaldna.org.uk/upstart-2019/ and the deadline for application has not been announced. Alastair Cameron, Startups Programme Manager at Digital DNA, said: "We want to celebrate the huge amount of start-up success in Northern Ireland and let the world know about the brilliant ecosystem which is supporting so many on their entrepreneurial journey. There is so much Northern Ireland talent out there and this competition has a habit of finding it."